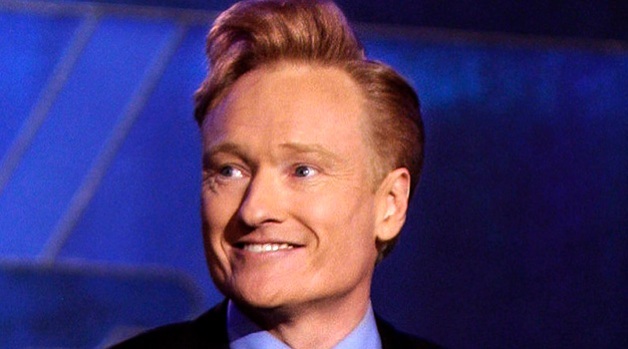 Conan O'Brien needs to bring some New York attitude to his new gig in Los Angeles. Stay out of the California sun – and don’t lose your New York cool. O’Brien’s challenge will be to overcome the coastal culture clash, and infuse his new show with the New York edge and creative energy that earned him the vaunted Johnny Carson mantle. Conan Says Hello to "The Tonight Show"
On Wednesday, the talk-show host got an early New York-style sendoff when Mayor Michael Bloomberg appeared on “Late Night” to give O’Brien an oversized key in a frame. “I’m receiving a key to New York City!” O’Brien gushed. The gag underscored one of the keys to O’Brien’s success: New York has proven his most important supporting character – more so than Pimpbot 5000, Triumph the Insult Comic Dog and that bear with a certain embarrassing habit. Whether apocryphal or not, the story showed the odds – and pure New York attitude – the former “SNL” and “Simpsons” writer faced when NBC plucked him from virtual obscurity to take over the 12:30 a.m. “Late Night with David Letterman” slot. New York stoked O’Brien’s status as an outsider, giving him something to prove as a writer and performer. New York was the incubator where O’Brien got to hatch the weird -- remember “Rotten Fruit Theater” ? – experimenting as he struggled to keep the show afloat during the rocky first three seasons. New York was the setting where he and early sidekick Andy Richter would “drive” his desk through city streets. The streets of New York provided some of the show’s best moments: Triumph’s 2002 interviews of costumed, light-saber-battling “Star Wars” geeks outside the Ziegfeld Theatre may be O’Brien’s funniest bit ever. New York is teeming with the kind of quirky and entertainingly bizarre characters that Hollywood just can’t manufacture. By contrast, Jay Leno’s fun “Jaywalking” person-in-the-street segments invariably center around how dumb some people can be. Give us New York crazy over California spacey every time. Letterman, who is more of O’Brien’s comic godfather than Leno, knows the value of New York to his show. When CBS coveted Letterman badly enough that execs would have let him tape out of a barn in Oshkosh if he wanted, the talk show host stayed in New York and had the network transform the Ed Sullivan Theater into a city jewel. Sure, O’Brien may be able to book more high-profile guests in celebrity-stuffed L.A. – but that doesn’t mean they’ll make for better TV. In fact, he’ll probably find himself having to constantly puncture the bubble of self-congratulatory smugness Hollywood tends to envelope itself in – and not allow his wit to be diluted by the suds. He might be tempted to tone down his comedy, which would be a huge mistake: the earlier 11:30 p.m. time slot means very little in the age of TIVO, YouTube and Hulu. Plus, the viewers who were college students when they started watching O’Brien in 1993 are now (more or less responsible) adults who will appreciate the earlier start time – but won’t stand for Conan-lite. O’Brien is young enough – he turns 46 in April – that he still has a handle on the comic zeitgeist and the hard-earned chops to pull off edgy material, while nudging his comedy in new directions. The new show doesn’t have to be a regurgitation of the old bits in a new setting with reliable Max Weinberg pounding the drums nearby. But O’Brien can’t afford to lose the odd sense of the silly and surreal that got him to the late night talk show pinnacle. Let’s hope he’s not afraid to keep experimenting just because more eyes may be watching. As he packs his boxes, O’Brien needs to take a piece of New York with him and remember there always will be a place for him in the city – even if it’s in the Port Authority Bus Terminal men’s room.